Enjoy a bit of paradise together. A queen size bed is ample for a romantic get away for two. Air conditioned for warm tropical nights. Enjoy your morning coffee on the screened porch. Relax in your private bath. $90 per night, Summer Rate $80/night. Double occupancy. Maximum occupancy 2 people. 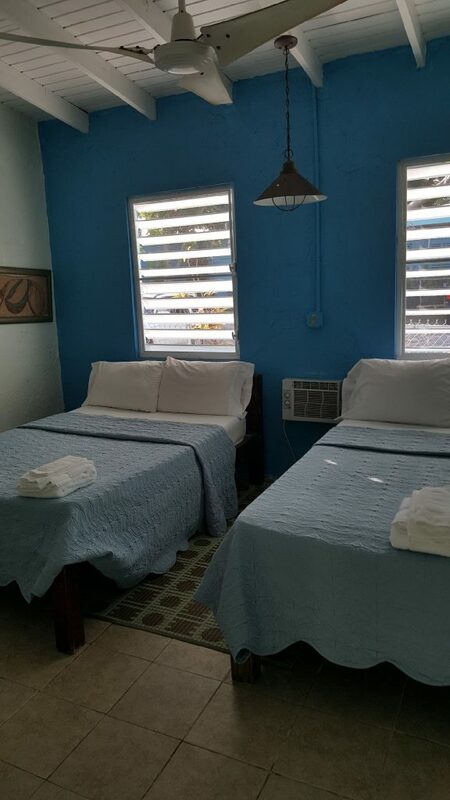 Two double beds great for a getaway with friends or family. Complete with a private bath, outdoor sitting area, and air conditioner. $80 per night based on two guests, $15 for each additional guest. Maximum occupancy 4 people. This room is perfect for friends traveling together and families. Private bathroom give you the comforts of home but with an ocean just steps away. 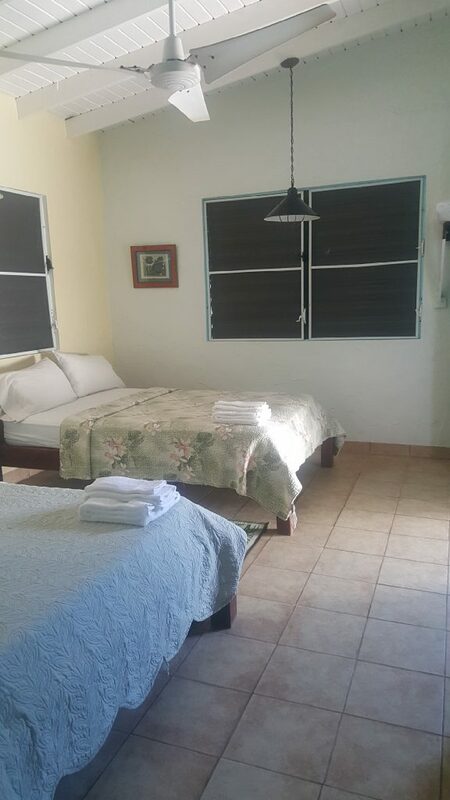 $80/night for double occupancy, Each additional person is $15 more per night. 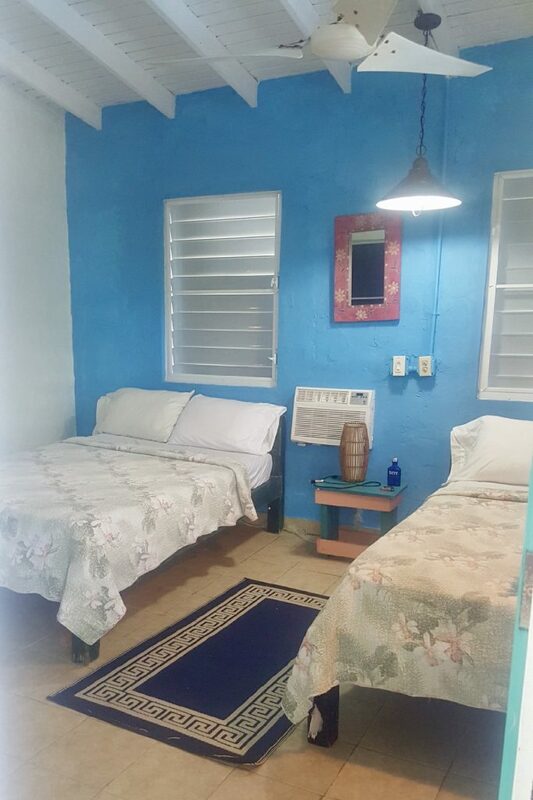 Each additional person is $15/night. Maximum occupancy of four people. This room is perfect for friends traveling together or families. 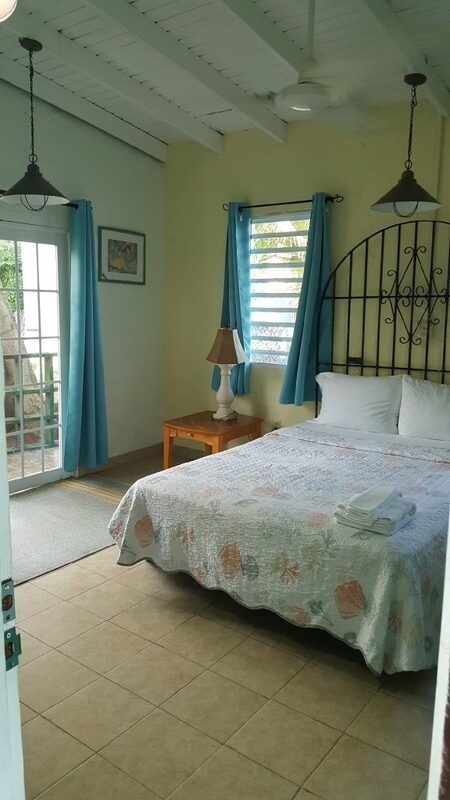 Ceiling fans and private bathroom give you the comforts of home but with an ocean just steps away. 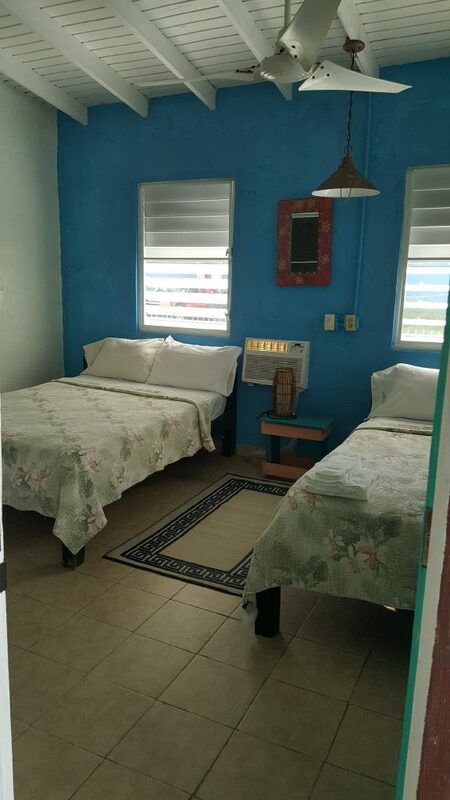 $80/night for double occupancy, Each additional person is $15 more per night. Maximum occupancy of four people.